Over three days in May 1958, Maynard Ferguson’s band was in New York to record an album for Roulette. The result was A Message From Newport, one of the best big-band albums ever recorded. Two months later in July, the Ferguson band performed at Freebody Park in Newport, R.I., at the Newport Jazz Festival. The band played a brief set for the CBS radio network early in the evening and then returned to open the second part of the concert. The nine songs on the album were performed at Newport that evening, either for radio or the concert. The band on the album was comprised of Maynard Ferguson (tp,v-tb) (above); Bill Chase, Clyde Reasinger and Tom Slaney (tp); Slide Hampton (tb, arr); Don Sebesky (tb,arr); Jimmy Ford (as); Carmen Leggio (ts); Willie Maiden (ts,arr); Jay Cameron (bar); John Bunch (p); Jimmy Rowser (b); Jake Hanna (d) and Bob Friedman (arr). The album’s music, from the opening notes, takes off like a stallion, and each composition and arrangement is absolutely perfect. The energy and muscular sleekness of this band is extraordinary, with one stellar original after the next. In 1958, at a moment in time when the big band seemed to be in rapid decline except for a handful started decades earlier, Ferguson proved that with exceptional talent and strong leadership, a well-rehearsed orchestra could still knock the socks off young listeners. Maynard Ferguson died in 2006. JazzWax tracks: You’ll find Maynard Ferguson’s A Message From Newport here. You’ll also find the album at Spotify. 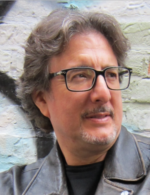 Marc Myers writes regularly for The Wall Street Journal and is author of “Anatomy of a Song” (Grove) and “Why Jazz Happened.” Founded in 2007, JazzWax is a three-time winner of the Jazz Journalists Association’s best blog award, including 2018.